One of the greatest features of the vacation rental property “Taos Villas” is its location and the restaurants near Taos Villas. 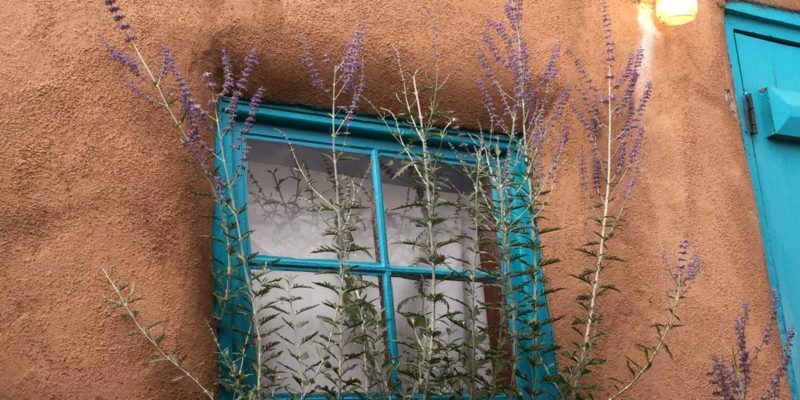 Within close walking distance to the Taos Plaza, the Taos Villas offer you authentic adobe accommodations where you can conceivably park your car and leave it for the duration of your stay. Although a bit farther away there are scores of additional amazing restaurants (to be featured in a future post! ), we have dozens of delicious options all within walking distance from the Taos Villas…. so you can surely find something to suit every appetite! The Anaconda Bar and De La Tierra Restaurant are both housed in in the El Monte Sagrado Resort and Spa. (More about the Spa amenities in a future post!) The Anaconda Bar serves refreshing cocktails and substantial “bar bites”, in a dramatic setting. The De la Tierra restaurant serves regionally- and locally-inspired culinary creations. Parcht Bottleshop & Bites – In this relaxed and inviting setting, you can enjoy a glass of wine, a beer, and / or some unique and utterly delicious bites ranging from cheese and charcuterie plates, to spicy caramelized pecan bacon, to a house-made peanut butter cup. Also a retail wine and beer shop, Parcht’s operators are extremely knowledgeable and super-friendly. The Gorge Bar and Grill – With all offerings made from scratch, The Gorge is a casual dining establishment dedicated particularly to New Mexico-grown foods. Both early and late Happy Hours Monday through Friday! The Alley Cantina – Located in what is likely the oldest building in Taos, the Alley Cantina boasts a large varied menu (the food is excellent! ), great margaritas, and live music seven nights a week! Lambert’s and The Treehouse – Lambert’s relaxed yet refined atmosphere is the perfect backdrop for enjoying a tempting menu of made-from-scratch offerings. Upstairs, the Treehouse offers a first-rate Happy Hour from 2:30 – 6pm every day of the week. Stella’s Italian and Stella’s Restaurant 210 – Stella’s Italian offers an enticing menu featuring Italian blended with New American cuisine, plus many nightly specials. Sister restaurant Stella’s 210 menu of International cuisine offers many tasty options in generous portions. Byzantium – A creative menu and flavorful cuisine lure customers back to this quaint, intimate Taos institution. Caffe Renato – As in a number of Taos establishments, the owner of Caffe Renato can often be found wearing many hats…. and wearing them exceedingly well. Renato offers a wonderful menu, and he is extremely accommodating to any special requests. Enjoy the nice outdoor patio, weather permitting. Bent Street Cafe – An attentive staff spoils you in a warm, comfortable atmosphere for breakfast, lunch and Sunday Brunch, with plenty of vegetarian and vegan dishes. If you can get a table on the patio it’s a lovely place to enjoy your meal. Taos Mesa Tap Room – The downtown outpost of Taos Mesa Brewing, Taos Mesa Tap Room features 24 beers on tap, an eclectic wine cellar, and scrumptious wood-fired pizzas. Doc Martin’s Restaurant at the Taos Inn – Located in the registered historic landmark of the Taos Inn, Doc Martin’s menu of regional New American fare (and over 400 wine selections!) makes it a favorite for lunch, dinner, or a weekend brunch. Martyr’s Steakhouse – Occupying a beautifully renovated adobe home and courtyard, Martyr’s serves lunch, dinner and Sunday brunch with gracious hospitality. Try their signature margarita with fresh grapefruit! El Gamal – A unique vegetarian dining experience with an emphasis on authentic Middle Eastern cuisine, El Gamal’s large made-from-scratch menu is healthy, tasty and affordable. Bella’s Mexican Grill – Serving both familiar and more inventive dishes, Bella’s flavorful menu uses only the freshest ingredients, delivered in large portions. Manzanita Market – Healthy food options, homemade ice creams and an extensive tea list served in a rustic-chic atmosphere make the Manzanita Market an inviting stop on the Taos Plaza. La Cueva Cafe – Boasting an entirely gluten-free menu of New Mexican specialties, La Cueva even serves breakfast 10am – 3pm daily. Open seven days a week, with patio seating (weather permitting). Eske’s Brew Pub – Eske’s offers a cozy atmosphere and beautiful outdoor seating to enjoy its handcrafted beer, quality food, and local color. Live music and entertainment some nights. Black Mesa Winery – Taos Tasting Room – Open Tuesday through Saturday, with daily Happy Hour from 4pm to 6pm, Black Mesa Winery’s Taos Tasting Room offers over two dozen wines by the glass or bottle, and small plates for nibbling. Live music on Tuesdays, Fridays and Saturdays. Marshall’s Great Noodles – A food stand tucked away in the John Dunn Shops, Marshall’s delicious and satisfying menu is mostly vegan-friendly, and meat is available as an add-on to many dishes. Coffee Cats – Located in the historic John Dunn Shops, Coffee Cats offers indoor and outdoor seating at which to enjoy your favorite feline-themed hot drinks, cold drinks, frappes, smoothies, slushies, floats and ice creams! Taos Ale House and The Burger Stand – Open every day from 11am to 11pm, with Happy Hour Monday through Friday from 2pm to 6pm, Taos Ale House serves up a diverse selection of small-batch handcrafted beer. The Burger Stand at Taos Ale House focuses on gourmet burgers, but includes gluten-free options and a large vegetarian / vegan offering. Wine and cider are also available, and there is often live music. Michael’s Kitchen – A Taos landmark since 1974, Michael’s Kitchen still has some of the same staff of the restaurant (Spivey’s) that pre-dated Michael’s. Serving breakfast, lunch and dinner all day (Monday to Thursday 7am to 2:30pm, Friday and Saturday 7am to 8pm), Michael’s is a favorite of locals and tourists alike. Station Cafe 3 one 6 – Housed in an old gas station on Taos’ main drag, Station Cafe 3 one 6 is the sister restaurant to Orlando’s (more on Orlando’s in a future post!). Wonderful food served by friendly and attentive staff, in a cool atmosphere. Chalupp’s Pizza – Chalupp’s serves up excellent pizza (the largest is 24 inches! ), and they even offer gluten free and vegetarian options. Bearclaw Bakery & Cafe – For all day breakfast, lunch or Sunday brunch, the Bearclaw Bakery & Cafe offers handcrafted baked goods and delicious food in a relaxed setting. Taos Diner II – Breakfast, lunch and even beer and wine are served at the Taos Diner II. Delicious food and huge portions fuel the popularity of this locals’ favorite. As you can see, with so many restaurants near Taos Villas, you are afforded so many dining options so close to your accommodations that you may want to extend your stay!